Got a chocolate and mint craving? 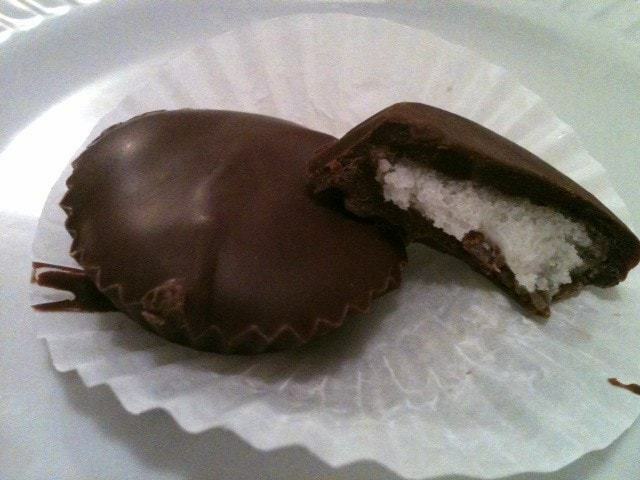 Skip the store-bought candy and make some Dairy Free Homemade Peppermint Patties, they’re gluten free! These cool little candies are refreshing and allergy-friendly! A lot of peppermint patty recipes I came across use powdered sugar and hydrogenated shortening or margarine. I decided to make my own recipe for peppermints that are healthier but just as tasty. Try refrigerating or freezing these for an extra cool treat. Got a chocolate and mint craving? 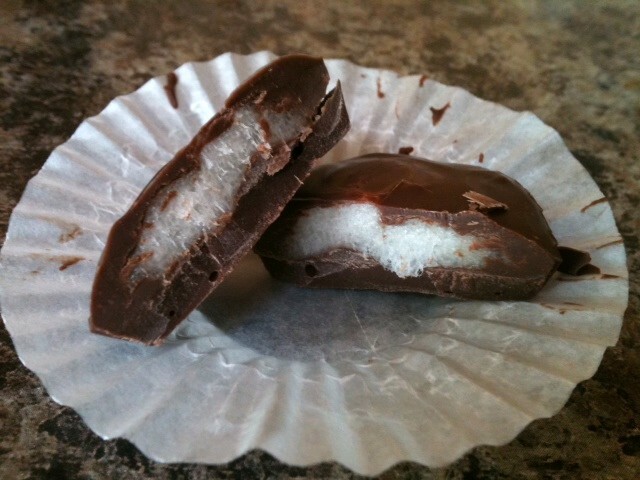 Skip the store-bought candy and make some Dairy Free Homemade Peppermint Patties, they're gluten free! Prepare a mini muffin pan with liners and set aside. In a small bowl, combine coconut oil and palm oil and beat well with a hand blender until creamy. Add honey, peppermint oil, and peppermint extract and beat again until well blended. Sprinkle in coconut flour and beat until incorporated well. Taste test these and adjust the amount of mint to your liking. Set aside in the fridge to chill and thicken. Form 24, nickel-sized patties with the filling and set in the fridge to harden again. In the meanwhile, put chocolate chips and coconut oil in a microwave safe bowl and microwave in 30 second increments until the chocolate is melted. Pour some chocolate into the bottom of each muffin liner just to cover the bottom (@ 1/2 teaspoon or so: you may have to spread the chocolate around a little). Put the muffin tin in the fridge to set the chocolate. 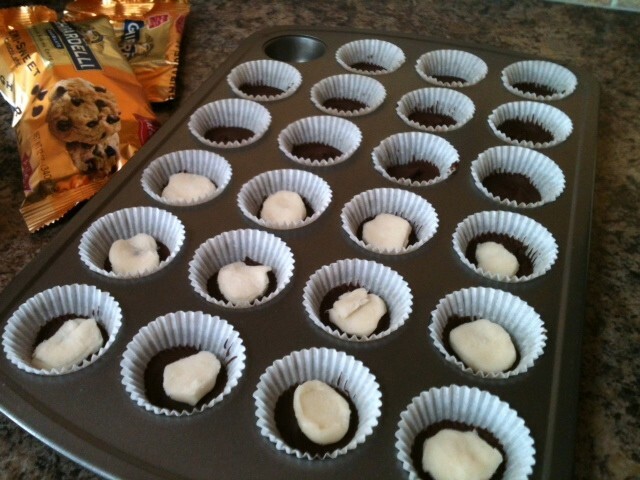 Once the chocolate has set up a bit, place a patty of filling into each muffin liner. Cover each with more melted chocolate to cover the peppermint completely. Let chocolate set completely by setting out at room temperature or returning to fridge. These should be stored in the fridge, but can be stored at room temperature (although the chocolate may soften up too much). Enjoy! I love peppermint patties… though I think they come under a different name in Britain. What are they called in England?